One of the most glorious and distinct harbingers of winter in Colorado is the appearance of seasonal beers. Winter is the time to take advantage of flavors such as roasted malts, chocolate, pepper spice and caramel. Below are a few winter warmers from Colorado craft breweries to keep an eye out for. Left Hand Brewery in Longmont boasts three winter brews. Fade to Black, which was a 2013 and 2010 Great American Beer Festival’s Gold Medal-winner (foreign stout category), is brewed with different ingredients every year. Volume 5, the latest in the series, has rich notes of dark coffee, maple wood and agave nectar. Good Juju, the reincarnation of the former year-round offering Juju Ginger, is a bit lighter but has the seasonal spiciness that only comes from brewing with pungent ginger. The Warrior IPA blends fresh, whole flower Cascade hops from Colorado's Western Slope with flavors of citrus and pine. Five kinds of malts flavor Boulder Beer Company's Slopestyle Winter IPA, which is beloved by Boulderites as an après-ski standard. The red-hued concoction has a "piney hop kicker" that's off the rails. New Belgium Brewing in Fort Collins developed a cult-like following for its 2° Below Winter Ale from inception. It’s one of the brewery’s most beloved small batches, delivering a slightly hoppy beer with some pepper and spice that pairs perfectly with Monterey Jack cheese, dark meats and desserts featuring pears or apples. Once brewed only in small batches for employees of Coors, AC Golden Brewing Company’s (a subsidiary of MillerCoors in Golden) crisp Winterfest lager has gained a faithful following since they started brewing slightly larger batches. One of the most fun things about this one is its exclusivity — you can only get it in Colorado. Though the Northstar Imperial Porter brewed each winter by Boulder's Twisted Pine Brewing Company is extremely enjoyable at the time of purchase, it’s also brewed to last. Connoisseurs can stow a six pack away in a cool, dark spot to savor its deliciously aged, full-bodied malted flavors a few winters from now. Great Divide Brewing Company’s richly malted Hibernation Ale should be sipped cautiously — with 8.7 percent alcohol by volume, it’s one of the strongest winter selections. What really takes center stage, however, are the ale’s chocolate and dark fruit flavors. Visit their Denver tap room for great views of their brewhouse. Many of these breweries offer tours of their operations, a particularly festive way to get your taste on. 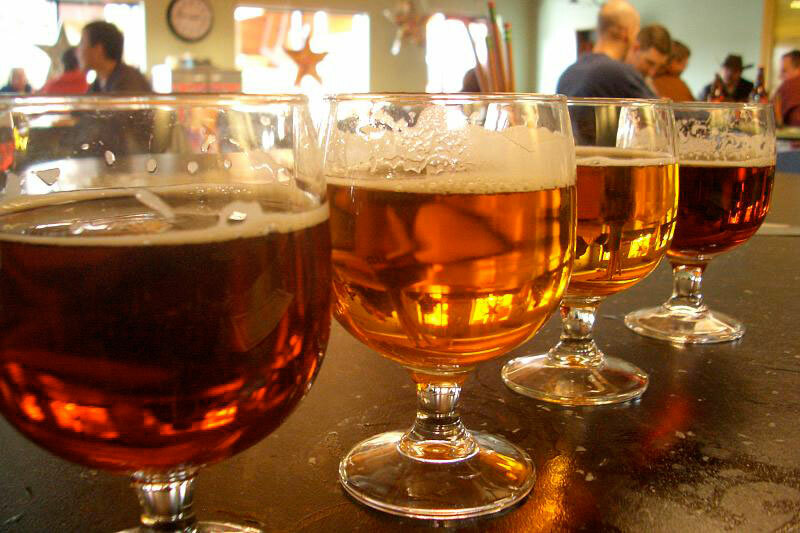 For information on all of Colorado’s craft brewers, visit the Colorado Brewers Guild. Photo: New Belgium Brewing's Tasting Room, photo by flickr/RobotsOnCandy.